A foray into the story in the walled city of Carcassone. The majority of hotel establishments of Carcassonne are renovated buildings. 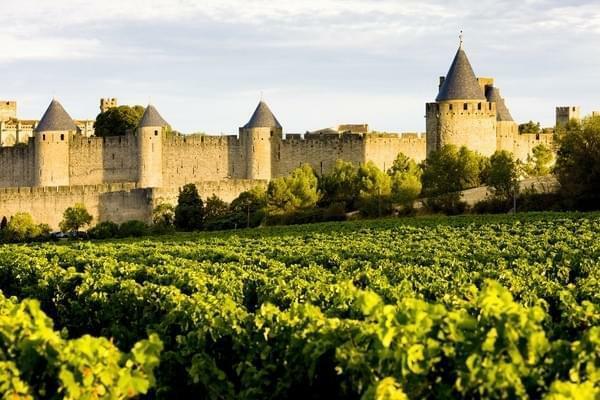 Several hotels are located near the city of Carcassonne, is the case of the Garden of the city of Villa offering local cuisine, Hotel Residence Saint-Louis, an oasis in the city, ideal for nature lovers, and Hostel located within the walls of the city, for stays in groups. At the heart of the city, between the Canal du Midi and the medieval city is the Hotel Central. The St. Peter's Fields of Trapel and Brickworks are luxury houses and the Residence Adonis Carcassonne. The Barbican which has a fitness area and jacuzzi is located near the old bridge, Festival of the city, Theater Jean Deschamps, the Inquisition Museum. The Bristol Hotel shall send to him, offers budget accommodation around 50 euros. Le Terminus in the heart of the Bastide Saint Louis, 30 minutes from Narbonne beach, has a games room, a movie theater. Fans of the song may enjoy karaoke while the steering wheel could not care karting. Bikes are available on site to help customers explore the surrounding area. Le Clos de la Roque is open to those who seek tranquility. Staying in Carcassonne is visiting castles including the castles of the Cathars.